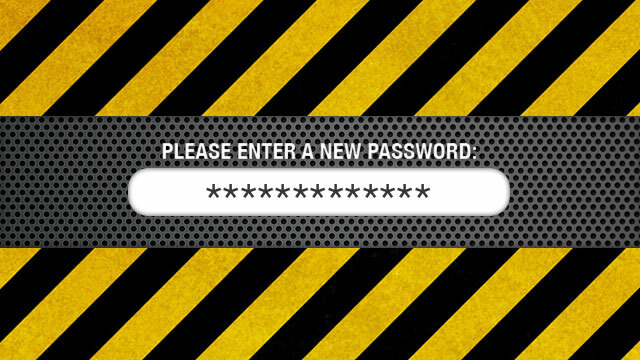 Update the password for your email address, and make it a secure one. It may be old advice for some of you, but if you've been putting off the process of strengthening your passwords, don't delay any longer in making your email account's password as strong as it can be. Do. It. Now. Why? It's a known tactic that hackers target sites with weaker security, to then harvest email addresses and passwords that they can test against other, more popular (and important) sites. With rampant password reuse, it gives easy access to critical accounts where you've used the same login details. There have been an unending stream of database breaches in the last several months, and the login information for tens of millions of people have been posted on the web. For most people, their email account is a window to their personal, financial, and even work life, so it's critical to (1) use a unique password and (2) to use as long, strong of a password as you can manage, which means it can't be guessed and isn't dictionary-based. LastPass can obviously help there, by generating a long, secure password for you, then remember it so you don't have to - it's as easy as a few clicks. Now you really don't have an excuse! And now you can relax just a little bit more this weekend!